Rosy pink lips are considered seductive, beautiful, and appealing in almost every part of the world. Unfortunately, however, many women are haunted by the trouble of dark lips. This problem is almost too common in India, with more than half the women population having dark lips. Don’t worry, though. In this article, we will share a few home remedies you can try to develop a pinker tinge to your lips. How Can I Get Rid of Dark Lips? Luckily, you can always fall back on Mother Nature for some quick solutions to your dark lips problem. Here are a few home remedies that are simple yet effective. Do keep in mind that you have to use them consistently in order to see the desired changes. Whisk together 2 teaspoons of lemon juice, 1 teaspoon of honey, and 1 teaspoon of glycerin to form a cream. Apply a thin layer of this cream on your lips every night before bed. In the morning, rinse off with warm water. 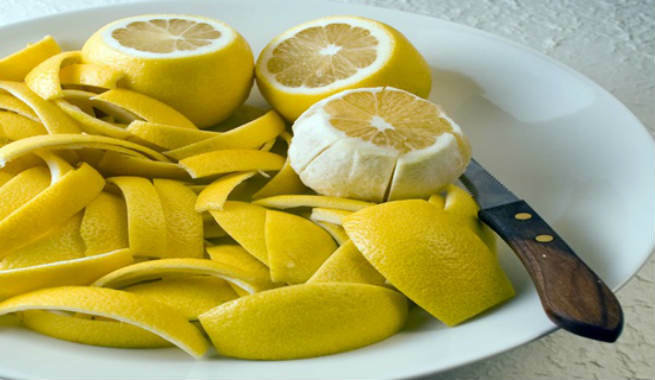 Lemon juice helps in exfoliating your lips by removing the dead cells that are present. Glycerin helps in moisturizing your lips and honey helps in nourishing your lips to give them a pinkish glow. Massage your lips with some yogurt twice daily – once in the morning and once in the evening. Yogurt moisturizes your lips and helps lighten them with consistent use. Beetroot juice is a natural bleaching agent. 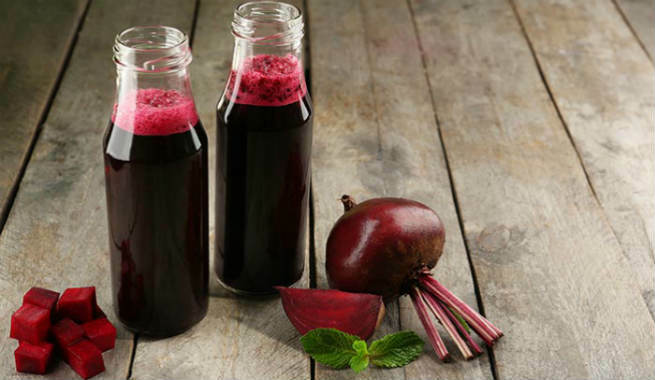 Crush some fresh beetroot and apply the juice to your lips daily before sleeping. Leave it on overnight and wash the residual off in the morning. Apple cider vinegar is another natural stain remover that can help lighten your dark lips. However, due to its somewhat corrosive nature, it is not suited for overnight use. You can apply it during the day and wash it off after 10-15 minutes. Combine 1 teaspoon of turmeric powder with 2 teaspoons of milk cream or fresh lime juice. Apply this paste on your lips, leave it for 10-15 minutes, and then wash it off with warm water. This is a gentle paste and can be used 2-3 times a day. Strawberry juice has bleaching properties that naturally lighten your lips and make them pink. Petroleum jelly is a potent moisturizer, ensuring your lips are hydrated for hours. Create a paste with one tablespoons of petroleum jelly and one tablespoon of strawberry juice. Apply this paste on your lips before bed and wash off in the morning. You can also use the paste every few hours throughout the day for faster results. Almond oil is a great way to soften, moisturize, and brighten dark lips. Every night, gently massage your lips with almond oil for about 15 minutes. Do not wash it off. Go to sleep with the oil on, allowing it to act throughout the night. Wash off with warm water in the morning. Alternatively, soak a few almonds in milk cream overnight and grind them in the morning to create a fine paste. Apply this paste once or twice a day to naturally make your lips pink again. 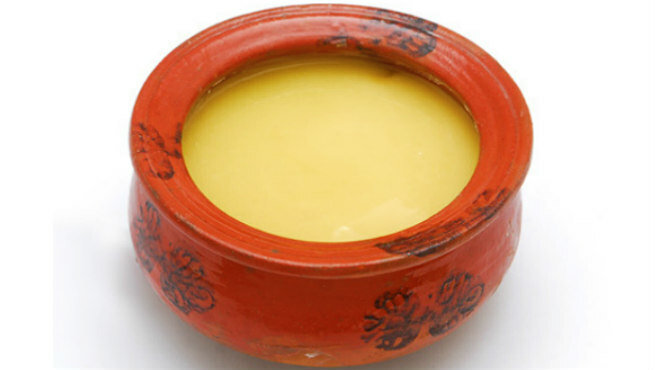 Ghee, or clarified butter, can naturally make your lips pink while simultaneously providing them with immense moisture. Before you go to bed, simply massage your lips for a few minutes with ghee. Leave it on overnight and thoroughly wash your lips in the morning to remove the residual. Cucumber juice is yet another effective natural ingredient that can be used to lighten your lips. Crush some fresh cucumber and extract the juice. Apply this juice to your lips daily using a cotton bud. You can use it overnight if you would like, as it is gentle enough to leave on for hours. Milk contains lactic acid, which is known for its whitening effects. This can help to gradually reduce the darkness of your lips. Simply drink a glass of milk or apply some milk on your lips daily using a cotton bud. Do keep in mind that if you are allergic to lactose or are lactose-intolerant, you should consult your doctor before trying this method. Papayas and pineapples can also help you to get rosy pink, soft lips. The acidity of their juices help bleach the darkened patches of your lips. Simply create a paste by grinding the peel of a papaya. You can also optionally grind in some pineapple pulp with this to create a stronger potion with better effects. Apply this paste over your lips, leave it on for at least 30 minutes, and then rinse it off with warm water. How Can I Prevent Dark Lips? Now the question arises, “How can I keep my lips from getting dark?” After lightening your lips, it is important that you follow the steps below to prevent them from darkening again. If you smoke, you can never have naturally pink lips. Try to cut down or stop the habit altogether to keep your lips attractive. Stopping the use of cigarettes and tobacco will significantly improve your overall health as well. Try to reduce the consumption of coffee, tea, and other caffeine-containing beverages as much as possible. Drink a lot of water to stay hydrated and prevent your lips from drying out. Try to incorporate more fresh fruits into your diet. The juice in most fruits contain natural bleaching properties that will keep your lips from getting dark. Do try the above methods to get rid of dark lips and achieve a more attractive look. Brightening your lips is not difficult, but it takes a lot of determination and patience to achieve solid results. Good Luck!